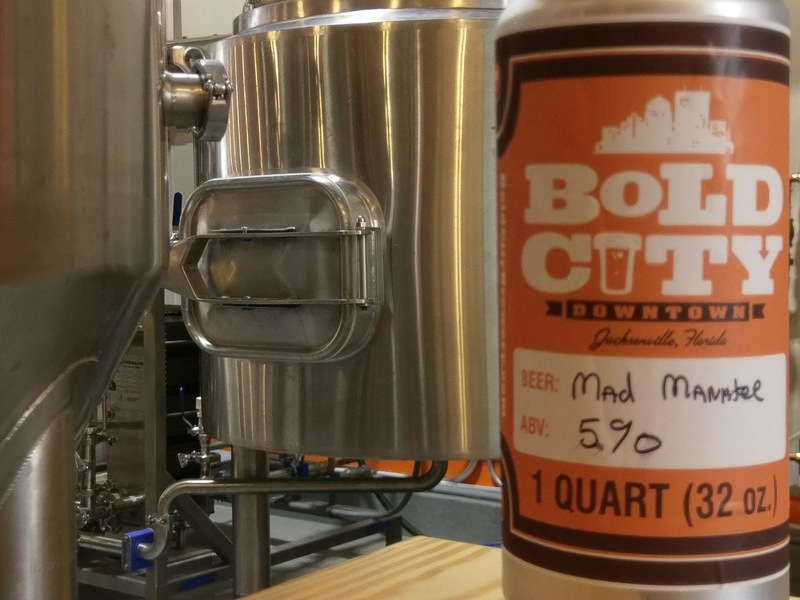 Jacksonville's Bold City Brewery is getting bigger by going smaller. On Friday, April 21 at 11am, the city's first craft production brewery opens its second location: a new brewery and tap room in the heart of Downtown Jacksonville, at 109 E. Bay St. 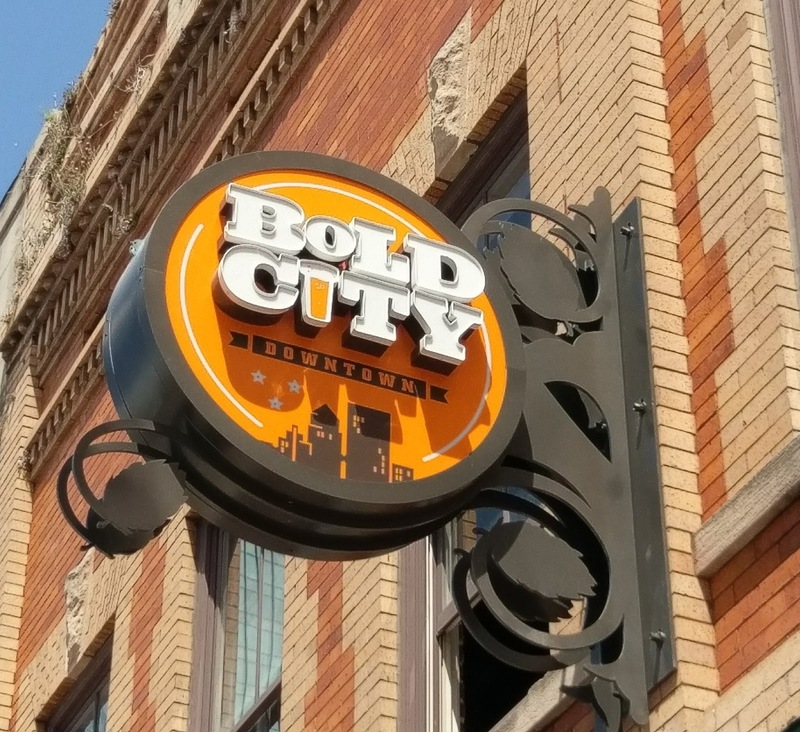 In late 2015, the brewery officially announced plans to build the second location, but according to co-founder Brian Miller, Bold City Brewery had been looking at the downtown area since the Spring of that year. 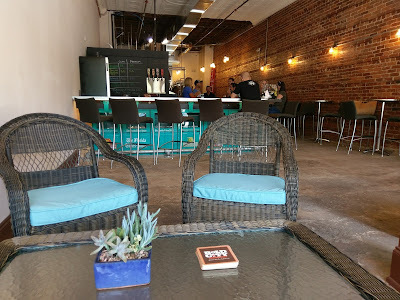 When the space next to the now under-construction Cowford Chop House became available, the brewery found its new spot. 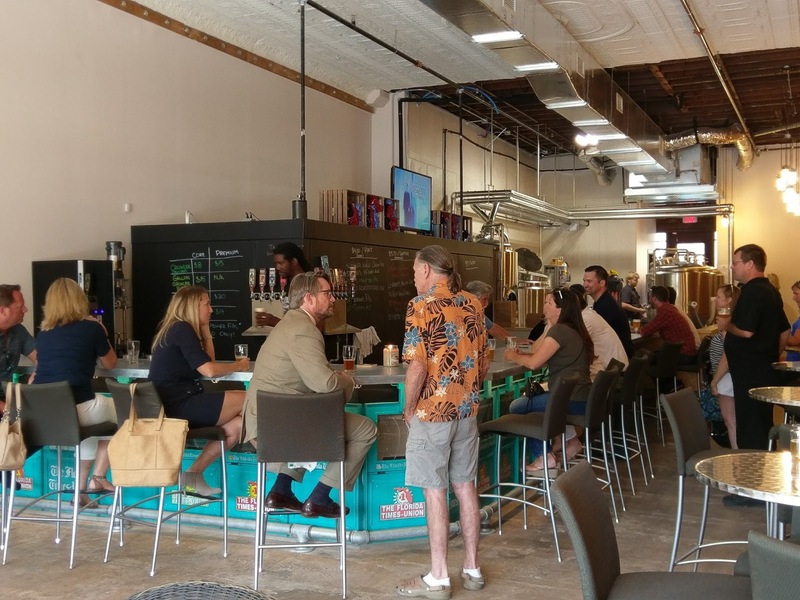 Anyone familiar with Bold City Brewery's Riverside warehouse location has seen the 20-barrel brewhouse, which features two towering 120-barrel tanks off of the brewery bar in a sprawling space. (See prior story for background info tour.) 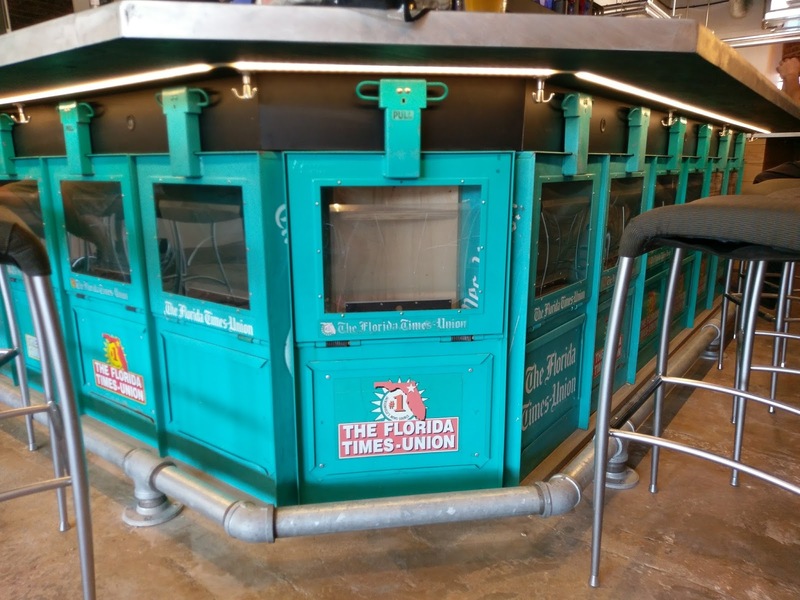 The brewery pumps out its beloved and highly popular signature beers Killer Whale Cream Ale, Duke's Cold Nose Brown Ale, and Mad Manatee IPA for delivery all around Jax (and across Florida) in kegs and cans, in addition to brewing seasonal beers, such as Vernon's Pils. 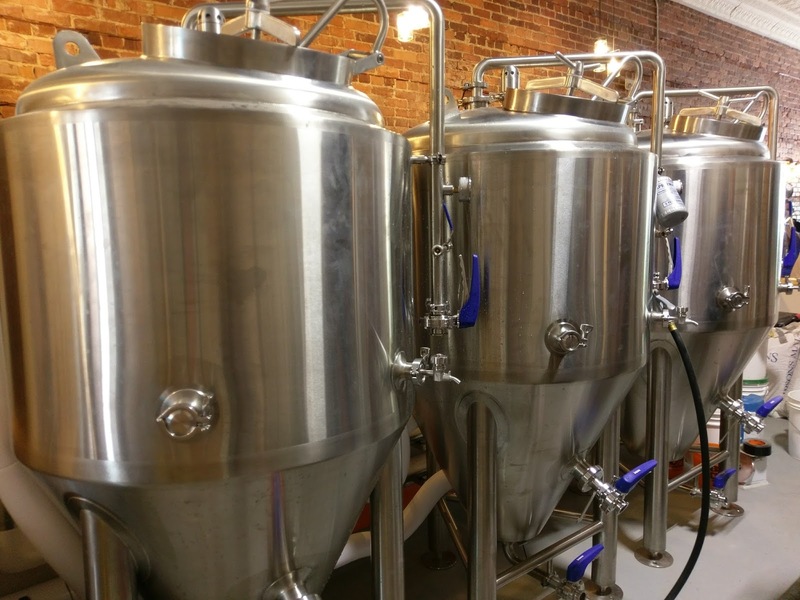 In contrast, the new location is home to a three-barrel brewhouse that will brew up small and experimental batches. 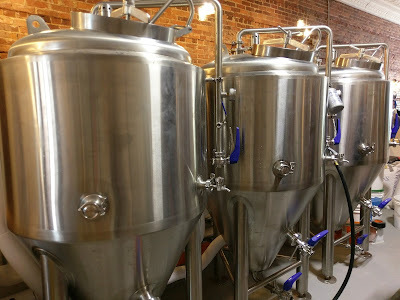 The space also houses three 3-barrel fermenters and one 7-barrel brite tank, with space for additional fermenters. Brewers will begin brewing the first batches of beer on the new equipment this week, says Brian, starting with a "SMaSH" beer, or "Single Malt and Single Hop" beer for the SMaSH Beer Festival in Longwood on May 13. Following that will be a Double IPA and a Passionfruit Pale Ale. So, get ready, Jacksonville, because you're going to start seeing even more new brews coming from Bold City Brewery. Of course, you'll be able to enjoy your favorite Bold City beers at the new tap room. The bar offers 11 taps of house core and premium beers, served in pints or snifters. 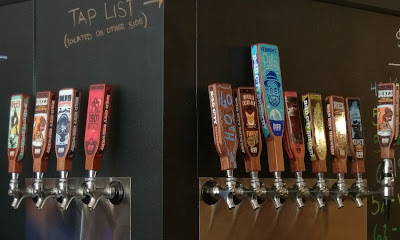 As of this writing, the tap list looks like this: Killer Whale Cream Ale, Duke's Brown Ale, Mad Manatee IPA, 1901 Red Ale, Vernon's Pils, Pumpkin Ale, Barrel-Aged Roxy's Imperial Cream Ale, Abby's Belgian, Rum-Aged Duke's, Imperial Super Secret Stout, and Duke's on Nitro. That's a tap list sure to please any palate! In addition, the bar offers several varieties of wines: Chardonnay, Pinot Grigio, Moscato, Apothic Red; sodas and water. 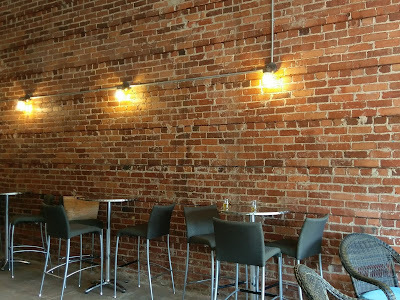 The tap room vibe is a blend of loft and industrial,with a couple of cozy sofas at the front, and tables and chairs along a brick wall, with the bar in the center. 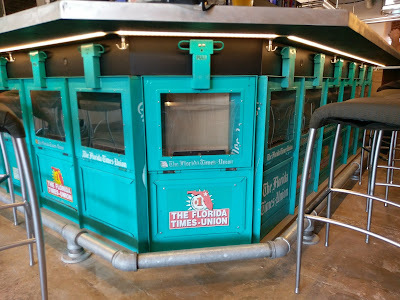 There's a TV overlooking the bar, and, check out the old Florida Times-Union newspaper boxes lined up underneath. 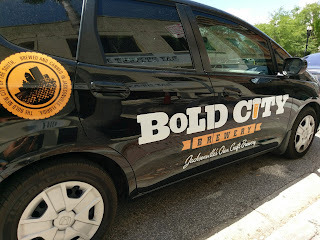 Let's say you'd like to take some of the Bold City beer back with you (let's just say). 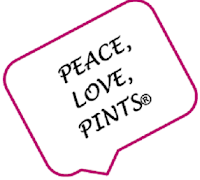 Growler fills are available (bring in your growler). 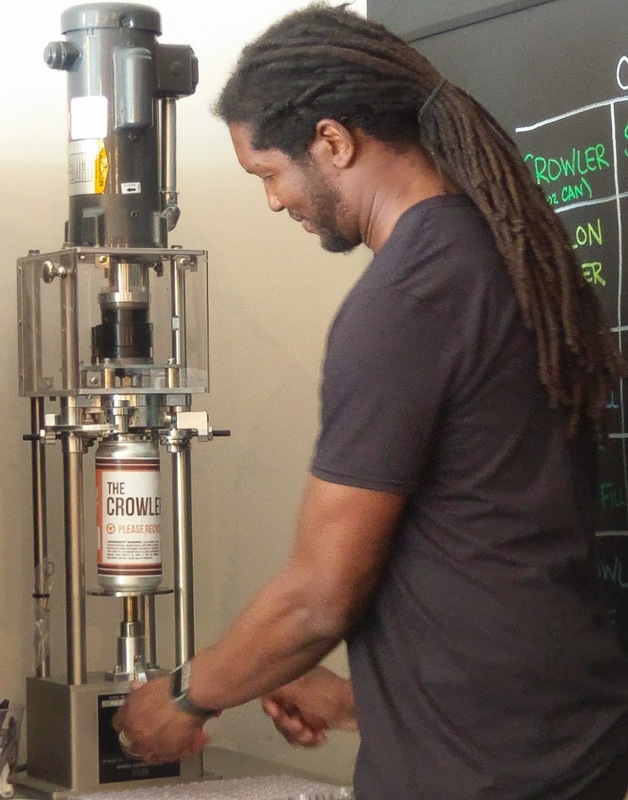 The bar also offers the popular Crowler® can to-go option (32 oz. cans). 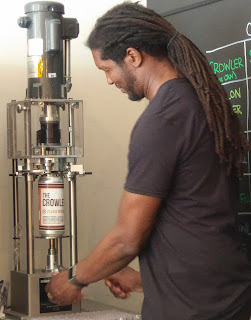 If you want more than one Crowler, you can even get a three-pack in a convenient carry holder. 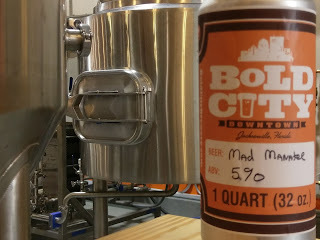 Of course, this writer brought back a can of Mad Manatee IPA, expertly filled! 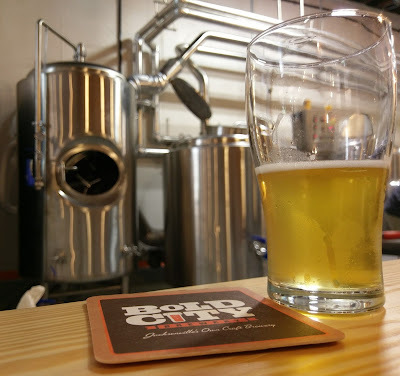 Bold City Brewery Downtown is located at 109 E. Bay St. and will be open every day at 11am. Hours are 11am-8pm Monday through Thursday, and 11am-11pm Friday-Saturday (subject to change). The location is a walk around the block to/from the Florida Theatre, and a short walk to nearby bars, restaurants and hotels. Be sure to check out the newest addition to the Jacksonville craft beer scene! Thanks to the Bold City crew for the hospitality. And, yeah, I think I'll be around. What a great pre-opening visit to the new place! 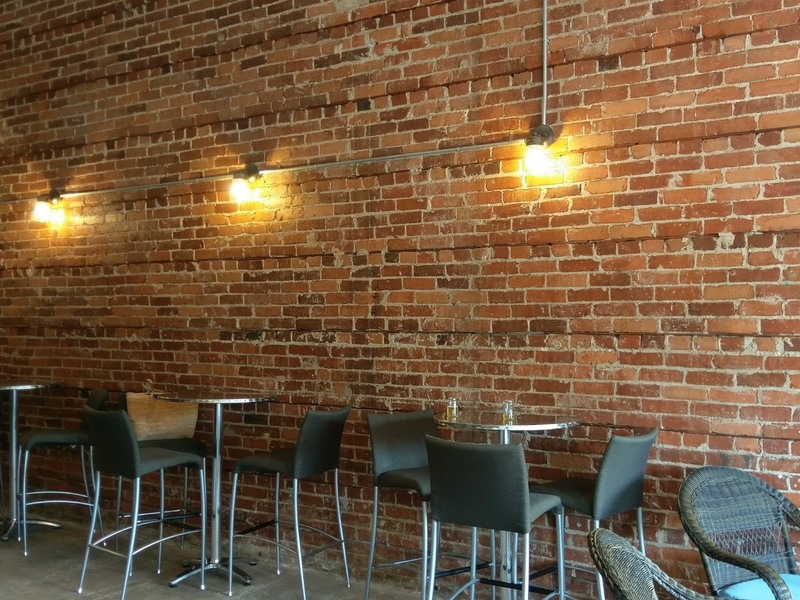 It will be an exciting spot to hang around and have a local beer or two. 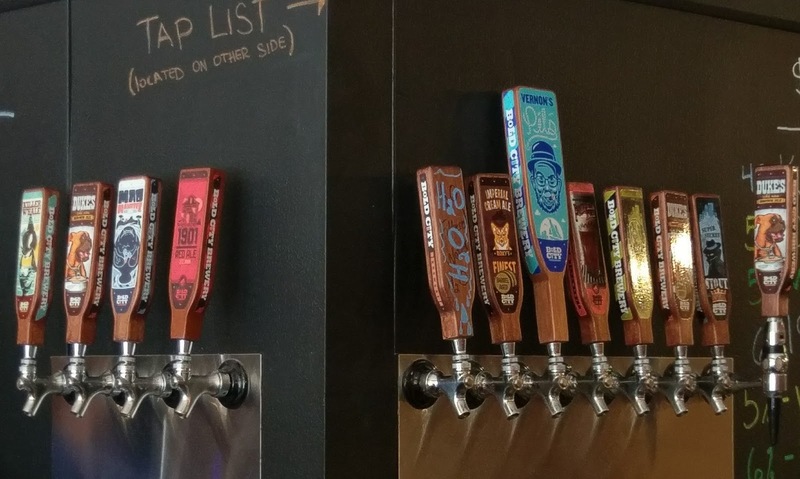 You can find info about the SMaSH Beer Festival -- and all sorts of other beerfests and beer events around Jax and around the state -- right here on brewnymph.com in the two events pages. Give 'em a look, because they're updated daily.